Like any other textures, vanilla is not an ideal and carries a lot of things that do not suit players. Many fans would like to see more details and small design changes that attract glances. 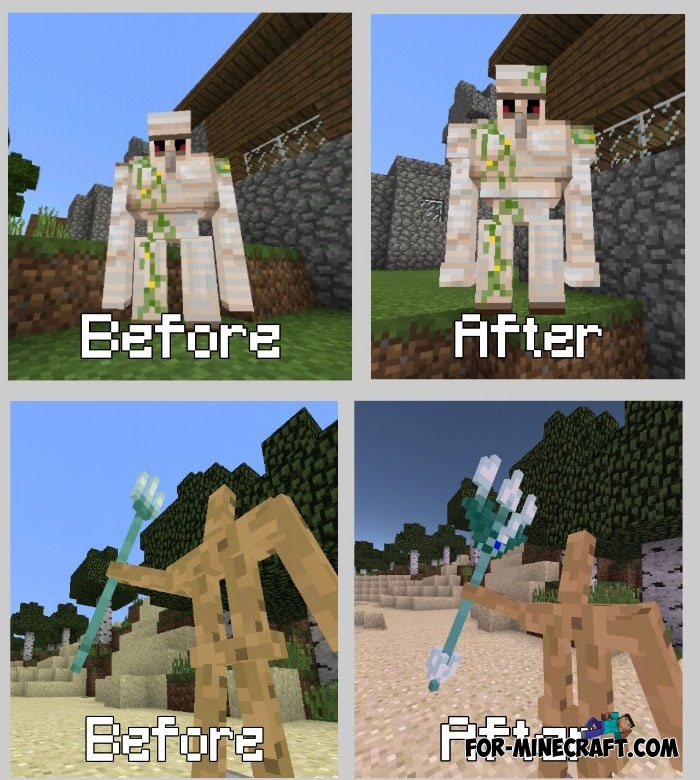 In this case, Pixtail adds a set of small details and redesigned textures for those elements of Minecraft that previously looked boring. 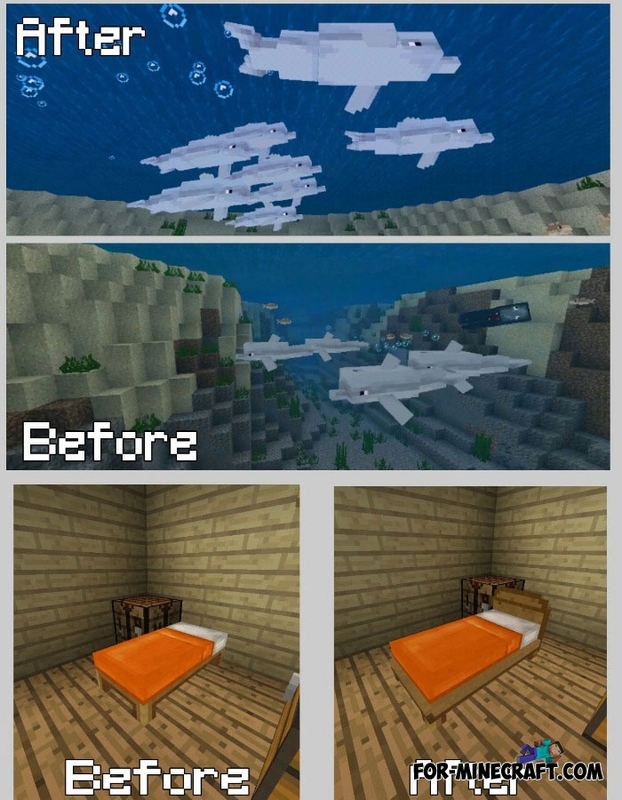 During development, the creator considered both old and well-known objects and some features from the Aquatic Update for Minecraft 1.4. Updated dolphins, tridents and seahorses are in Pixtail. How to install Pixtail textures? 1. Open MCPE and go to settings. 2. Activate this texture pack. The Update Aquatic - Minecraft Java and BedrockYesterday Jeb shared a lot of information about the upcoming update which is scheduled for Minecraft Java 1.14 and Minecraft Bedrock Edition (PE) 1.4..